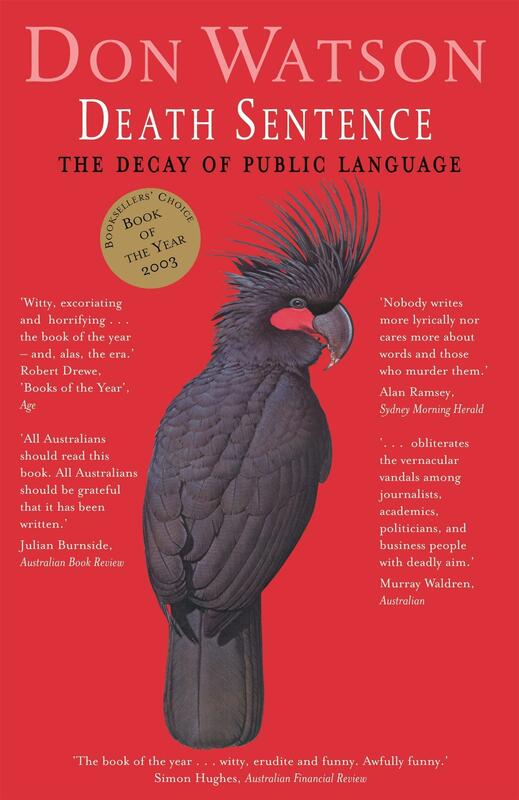 Part diatribe, part cool reflection on the state of Australia’s public language, Don Watson’s Death Sentence is scathing, funny and brilliant. Almost sixty years ago, George Orwell described the decay of language and why this threatened democratic society. But compared to what we now endure, the public language of Orwell’s day brimmed with life and truth. Today’s corporations, government departments, news media, and, perhaps most dangerously, politicians - speak to each other and to us in cliched, impenetrable, lifeless sludge. Don Watson can bear it no longer. In Death Sentence, part diatribe, part cool reflection on the state of Australia’s public language, he takes a blowtorch to the words - and their users - who kill joy, imagination and clarity. Scathing, funny and brilliant, Death Sentence is a small book of profound weight - and timeliness.